You are here: Home / Mold Removal / Restoration USA Tips: What Goes Into A Mold Inspection? Restoration USA Tips: What Goes Into A Mold Inspection? Mold coming into the home is never a pleasure to deal with. There are numerous causes that cause mold to accrue; as well as a slew of problems. With the risks that come from potential mold infestation, it is best to get it taken care as quickly as possible. It is also good to know what will be carried out when a team comes to the home. Initial Inspection: What Goes Into It? When it comes to jobs carried out in your humble abode, people usually want to know what to expect. What goes into an inspection is a wonder that people are not always told. This topic must be discussed in order to keep you comfortable while professionals are in your home. The first step that comes with will always be inquiring about the project. If you suspect mold of invading your home, it is a given that you would start it off with some research or a call. The first call to a mold remediation and restoration is critical for both parties. In this call, the discussion will entail information on what the next step would be. Information that will most likely be asked is the full name of the property owner, contact information if the call cuts out and for further calls, the homeowner’s insurance information, the street address of the property, and some general details of the site – such as look, smell, signs, and symptoms. These details are best kept on hand or prepared before the call so the call can go smoothly. The initial call is important for the restoration company to gauge the situation and prepare the team for what is necessary when arriving on site. Giving the company a better understanding makes the process go exponentially faster. When Restoration USA arrives, the property will be inspected. Before any mold can be removed, a FREE inspection will be conducted to locate the source of the problem needs to be located. Another factor is how extensive the infestation is. In order to figure this out, some tests need to be performed. Mold comes into the home due to moisture. The source of this water or humidity needs to be found. Since water can come from a bunch of different places, the first evaluation is important to figure out what path to follow. Water most commonly invades due to air conditioning leaks, roof leaks, broken/faulty pipes, and floods. These leaks are the first thing that needs to be stopped before any mold can be removed; if the source isn’t taken care of, the mold will continue to have a means of reproducing. The leak detection team will come in with some handy machines to determine how much is damaged. Using infrared and circuit cameras, we will be able to map out the area that water has reached as well as view the interior of walls and roof. Depending on the case, different directions will be followed. After an evaluation, there may be a need for a roofer or an air conditioning specialist. Maybe even a plumber. When these departments come to the home, they too will assess the damages. They will also give a report to the homeowner and the insurance company. After fixes are carried out, the next step is to take out any damaged parts of the home. Whether it be ceiling panels, walls, light fixtures, etc. they need to go.Water damage specialists will come in and use IICRC approved equipment to see exactly how expansive the damages are. Implementing dehumidifiers and industrial air scrubbers, we will eliminate water from the air. Once the home is dried, we will remove the affected areas. Another big issue (especially with older homes) is hazardous or banned building materials. Air contaminated with these products is a health risk not worth taking. Materials such as asbestos insulation and lead based paint need to be removed and disposed of properly. We will take care of that task as well. Taking out only what is necessary is made possible by our high-tech equipment and techniques. There are some easy signs that just your senses can pick up. As being a professional is required for big mold jobs, there are some things an amateur can do to see the problem first hand. Mold tends to grow in moist areas, like the shower and can be easily cleaned by some store bought mold defenders and sanitizers. Though this is easy, mold can form within 48 hours of water contacting components of your home. This means the more time it is left alone, the more it can spread. Since mold needs little water to thrive, it gets its bearings quick and starts rollin’ all over the house in the blink of an eye. When it gets to this point, you may see some streaks or blotches on the walls exhibiting of putting colors like gray, black, even green. Musky, earthy aromas fill the home as well. These signs indicate a much bigger problem. In these cases, a mop or towel is not enough to cut it. Doing this can actually cause spores to spread out wider on the surface you are attempting to wash and through the air to other places. Big jobs like these are best left to those who have the know-how to defeat mold’s wrath. A hygienist needs to come in and test the air before the mold is taken out. This will be an expert job to gather data about the air quality. When the hygienist is done, this information will be sent to a lab to test the spore ratio in the samples. If mold really is an issue, high levels of spores will be very apparent and prevalent. The mold team will take the reports into account and start cleaning the air and any other areas that potentially have leftover mold. Using the air scrubbers will come in handy once again. This takes out dirt, dust, and debris from the air and eliminates the remnants of mold from all the nooks and crannies that we just can’t reach ourselves. This method thoroughly rids the home of these nasty particles. After pieces have been taken out, the restoration process needs to begin. No one wants gaping holes in the walls and ceilings. Construction to patch up these voids is crucial to bringing your home back to life. With whatever needs to be done, we will give you an estimate and accomplish the restoration. Once the home is back up to snuff, the hygienist needs to return to do some more checks and balances. The same tests done before will be repeated, but this time around the second test will be compared to the first. This extra step will ensure that the home is really cured of the outbreak. This is important especially for insurance companies, as these evaluations are necessary for coverage. When it comes to insurance, we work directly with companies to deter you from the headaches. We use public adjusters to expedite the claims and smoothen out the process if there are any bumps in the road. Another great quality we offer is scheduling. Of course, any company can set up a schedule, but we love to make everything convenient for you. This means we will work out a time that is best for you and you can get back to your daily routines, Keeping in mind that you more than likely have other things to do than waiting around for a team all day – like jobs, kids, appointments and other schedule fillers. Problems from mold need to be handled as soon as possible. Numerous health issues can come from the mold. Some people may be affected differently than others, but that is a risk not worth waiting out. To see a better representation of what mold can do to your body, our article on back to school mold will be very informational. This will guide you through the mystery of the signs and symptoms you may experience when mold is in the home. With over 25 years in the industry, Restoration USA knows the ins and outs of mold remediation and restoration. We use IICRC approved methods and techniques to accelerate the process and get you back into your comfort zone. Working with you is our biggest priority; we schedule everything based on your preferences and will arrive quickly. Waiting on these problems will prove to cause immense financial loss in doing routine fixes that can all be avoided. Along with monetary problems, health problems can come into play. Restoration USA knows that issues will turn up at any time, so we offer 24/7 emergency service. When something goes bump in the night, we are here to help you. Saving you thousands each year is what we strive for, all it takes is a call. For inquiries, contact us at any time at (866)-745-6425 or schedule your free inspection on our website. http://restorationusa.com/wp-content/uploads/2017/09/blog-mold-inspection.png 474 640 admin http://restorationusa.com/wp-content/uploads/2019/04/Logo2-1.png admin2017-09-01 14:46:072019-03-18 14:03:07Restoration USA Tips: What Goes Into A Mold Inspection? Restoration USA Tips: What Are Some Common Insurance Claims That Restoration USA Receives? What Makes a Good Home Restoration Company? 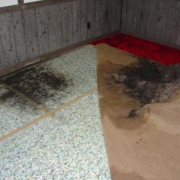 What Does The Water Damage Restoration Process Entail? Restoration USA Tips: How Do House Fires Most Commonly Start?